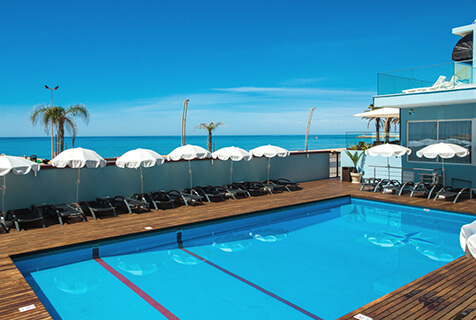 With a previliged view over Quarteira beach, Dom José Beach Hotel has definitely the best location in the town. With beachfront location and an absolutely beautiful view over the Atlantic Ocean, we are sure you'll have a memorable experience. 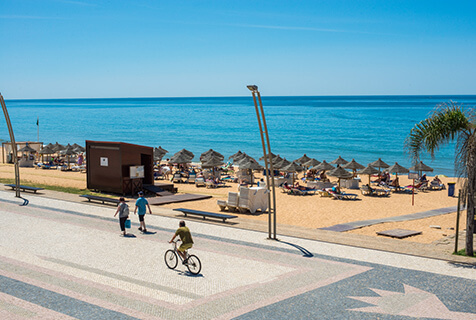 Located at just 20 minutes from Faro International Airport, it will take around 30 minutes to travel between Dom José Beach Hotel and Faro Airport. 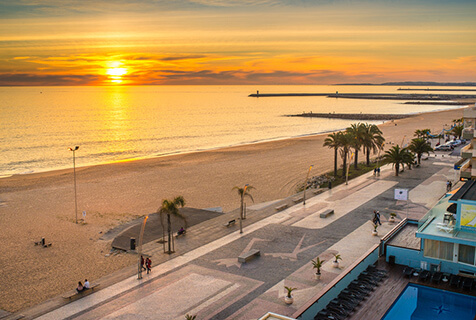 Your driver will be waiting for you at Faro Airport arrivals hall with a sign with your name, it will transport you directly to Dom José Beach Hotel, with no extra stops or other passengers. 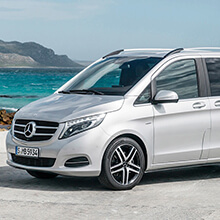 All transfers are Private, just for yourself and your fellow passengers, direct to/from Dom José Beach Hotel. 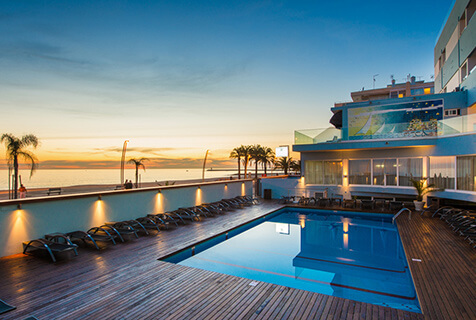 Your driver will be waiting at the airport arrivals hall or Dom José Beach Hotel reception, with a sign with your name on it. If you're travelling with babies or children we will provide car seats free of charge. 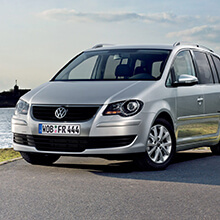 Golf Clubs transportion is included in the price, please make sure to add a note to your reservation. In case you need to cancel your transfer we will not charge any fee, please advise until 12 hours prior your arrival. First book your transfer online, it's very simple. On your booking, please insert all your personal details ( please be sure that you insert your mobile number in case we need to contact you on your holidays ). 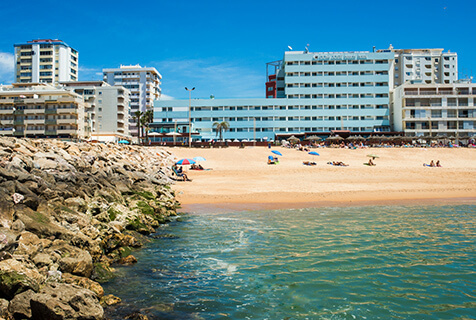 Our system will automatically calculate your return pickup time based on the travel time between Dom José Beach Hotel and Faro Airport and your flight time. 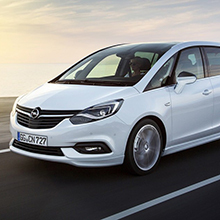 On your booking you can request your baby & child seats, we'll be happy provide them for free. If there is any information that we must now like golf bags, folded wheelchair, bikes, directions to a private address , please write it on the "special requirements field". On the arrival to Faro Airport, after collecting your luggage pass through customs and turn left. On your left hand side close to the tourism office look for a driver with a sign with your name on it. 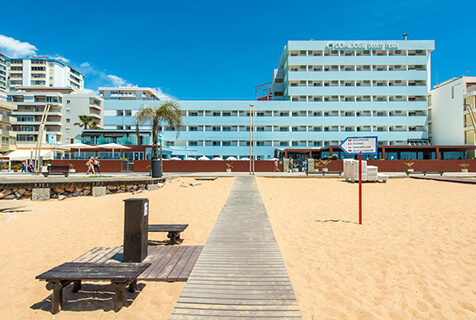 After carry your luggage your driver will take you to Dom José Beach Hotel. 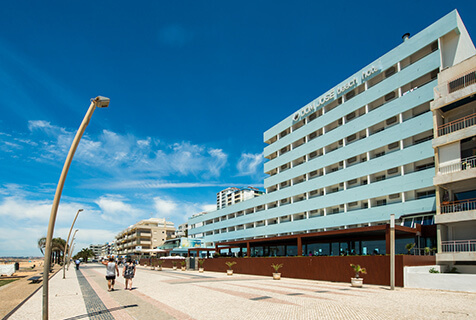 No extra-stops or shared transfers, he will transport you Dom José Beach Hotel main lobby. 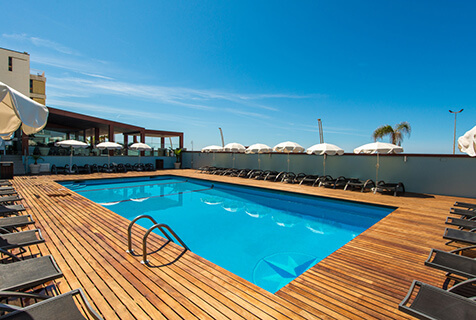 It's time to enjoy your smooth trip to Dom José Beach Hotel. 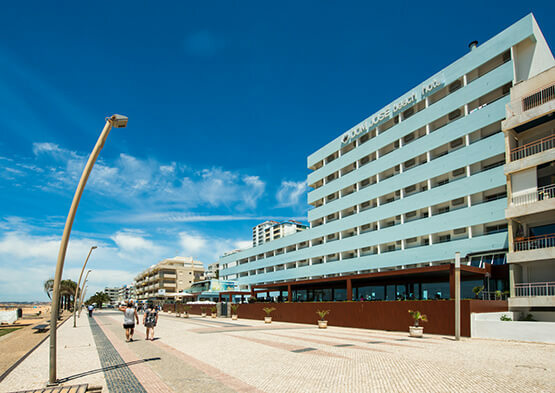 On the way back, please ensure that you are waiting at Dom José Beach Hotel main lobby. 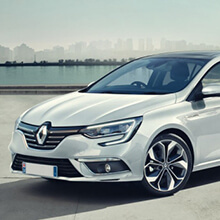 Your driver will be waiting for you at the time stated on your booking confirmation. We are available to answer to any question you may have, please feel free to contact us using one of the following contacts.